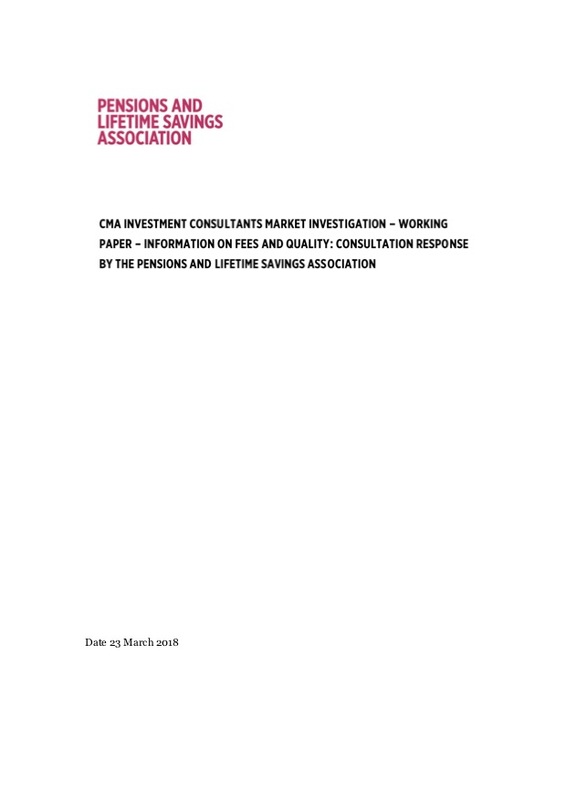 As part of its investigation into the market for investment consultancy and fiduciary management services, the CMA is publishing a series of Working Papers which highlight its emerging thinking and analysis on a number of key areas; this includes their initial thoughts regarding possible remedies. In March 2018, it published the first in this series on the information presented by investment consultants and fiduciary managers regarding (their) fees and performance. The PLSA responded to this consultation.